At COA, we have designated infant rooms. Parents and teachers work together to design daily routines to meet each infant's physical needs. Every day there are opportunities for small group interactions, positive and tranquil transitions, and going outdoors. Departures are calm and provide time for caregivers and families to review the infant's day. Our teachers use our sign language program to communicate with those who can't speak yet. Through this, infants are able to associate a hand or arm movement with a need or want. This gives our youngest a sense of well-being and control over their environment as they begin to communicate. 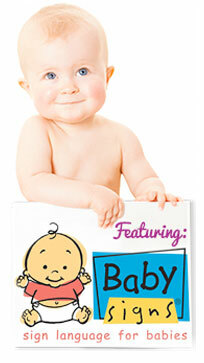 Families are encouraged to use Baby Signs at home as a way of enriching language skills.